Dr. King believed that to truly reach a point of fair and equal civil rights more must be done to eradicate poverty and economic insecurity that keeps so many among us unable to reach the peaks of society that others can. 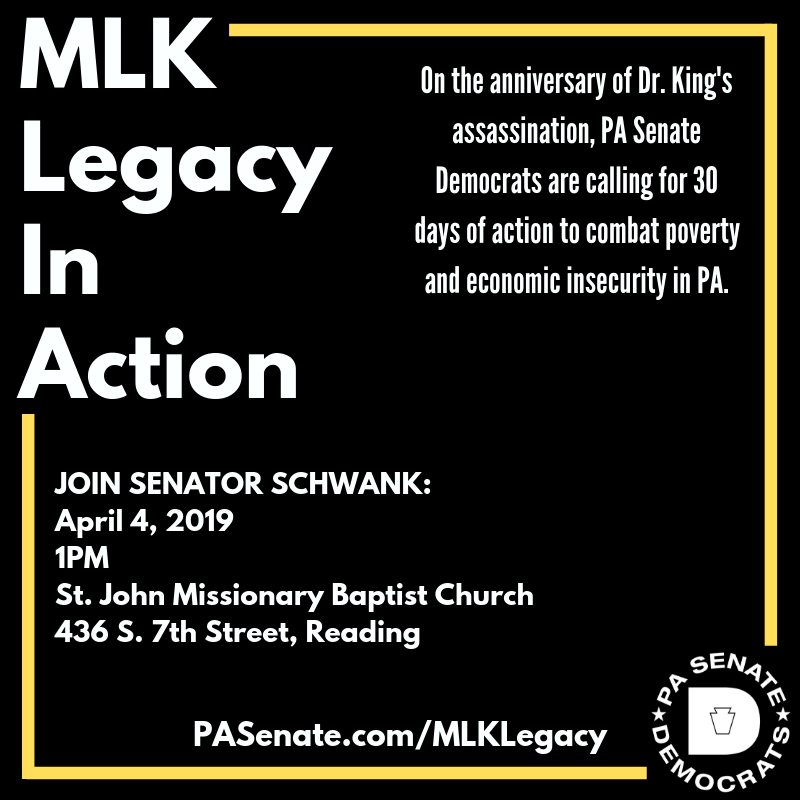 On April 4, 1968, Revered Dr. Martin Luther King Jr. was assassinated in Memphis, Tennessee. 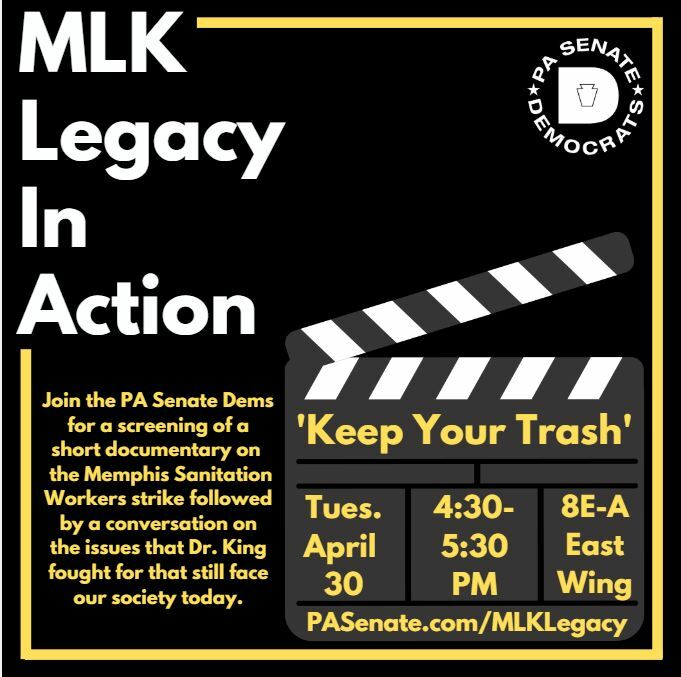 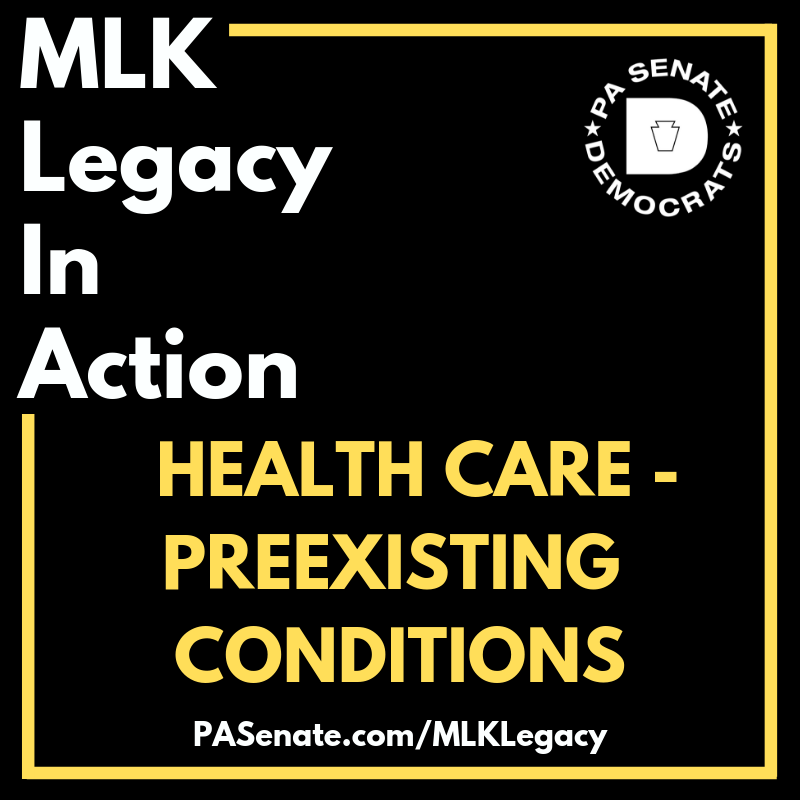 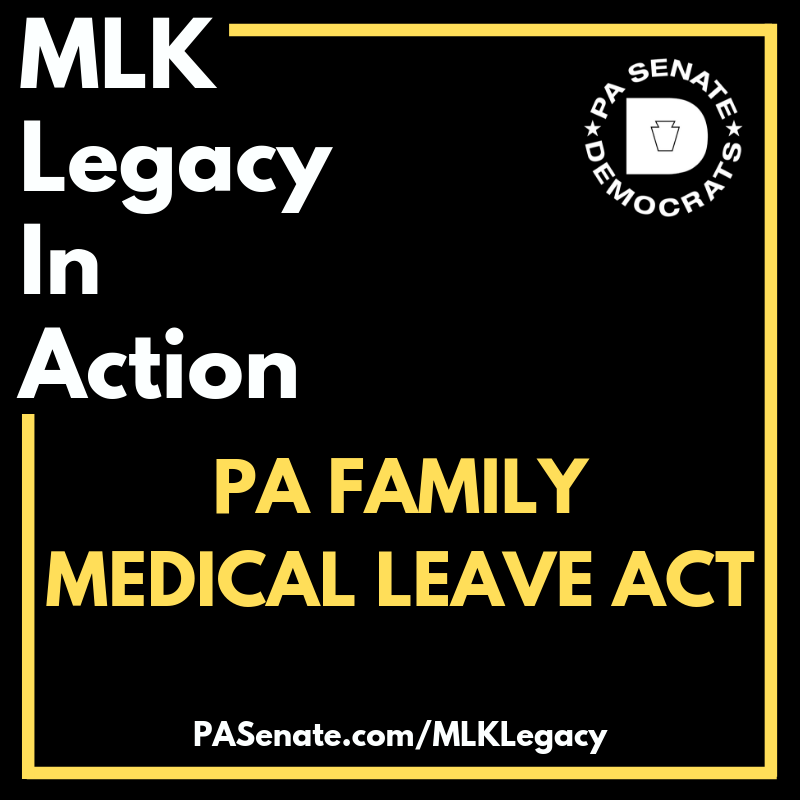 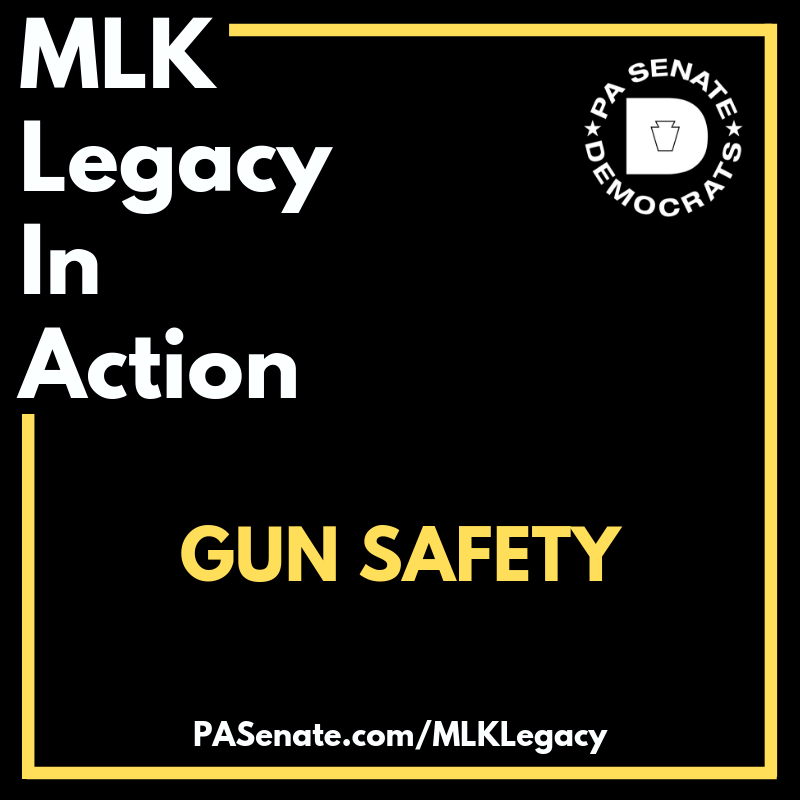 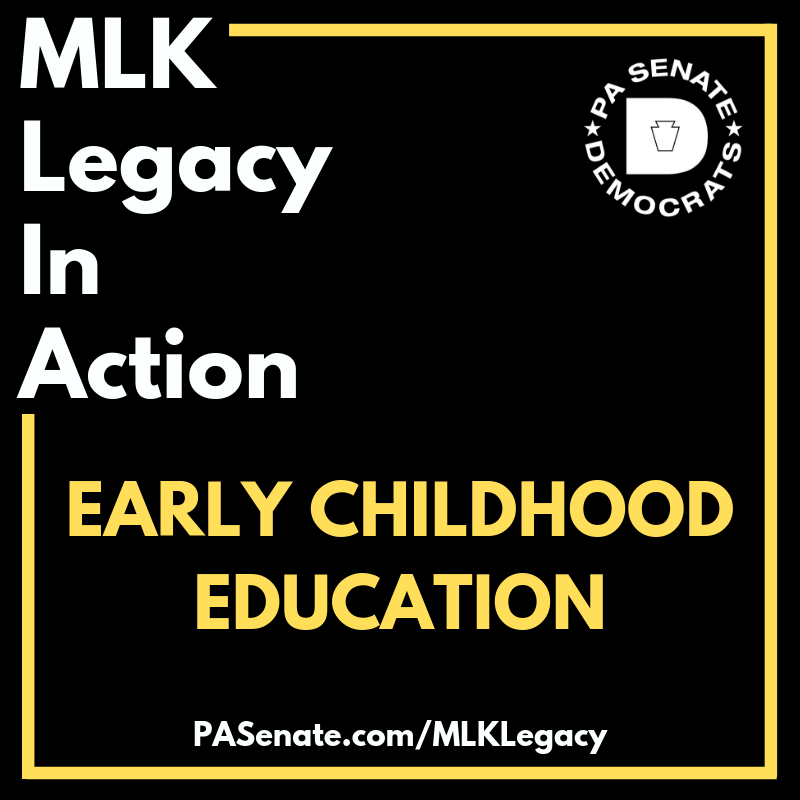 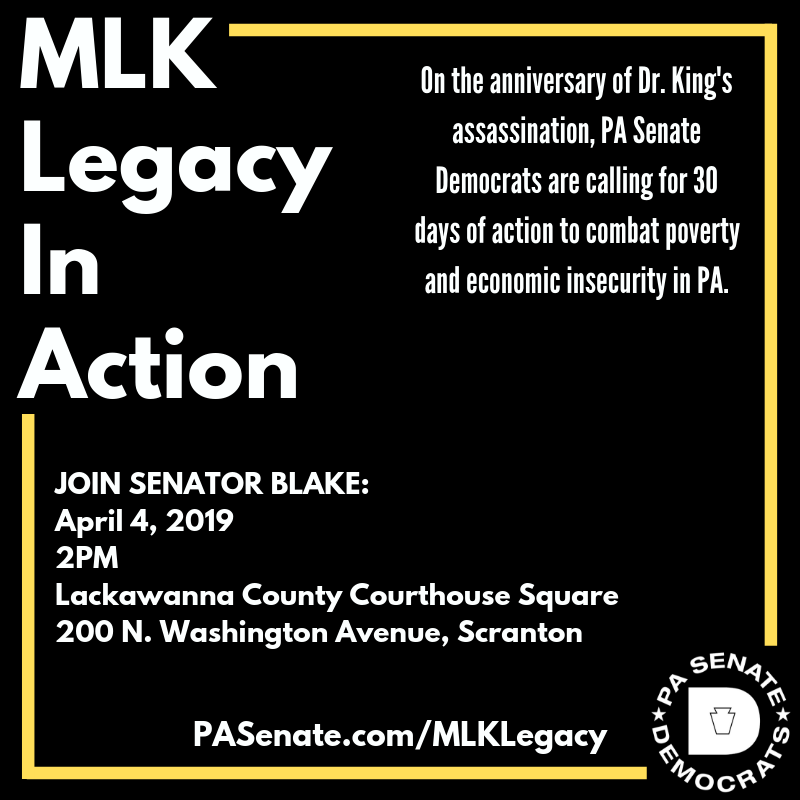 51 years later, on April 4, 2019, the Pennsylvania Senate Democrats will launch 30 days of action against poverty in his honor. 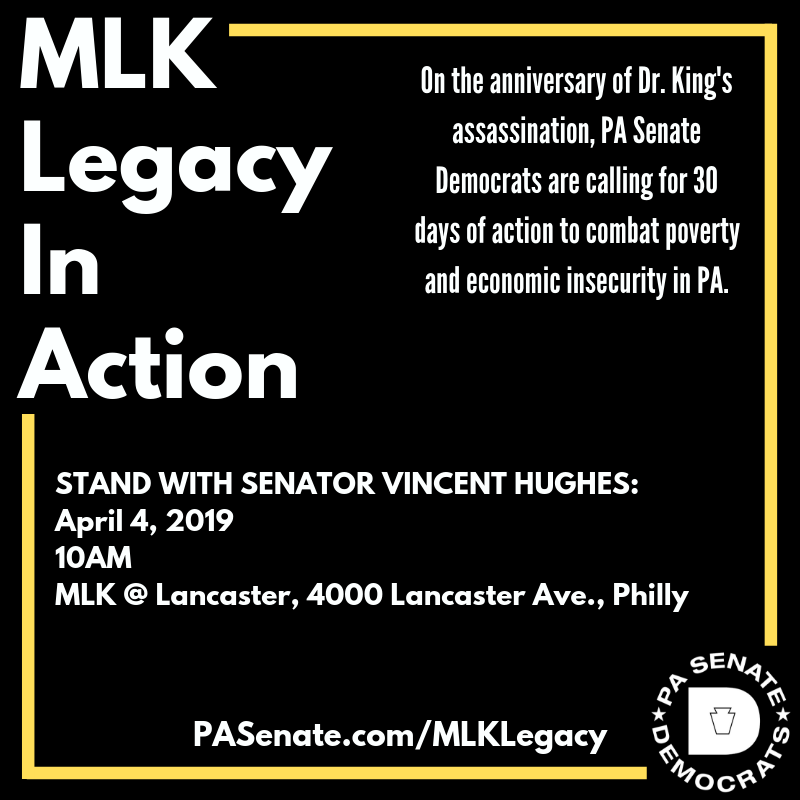 For these 30 days, we will visit and volunteer in the communities that need our help. 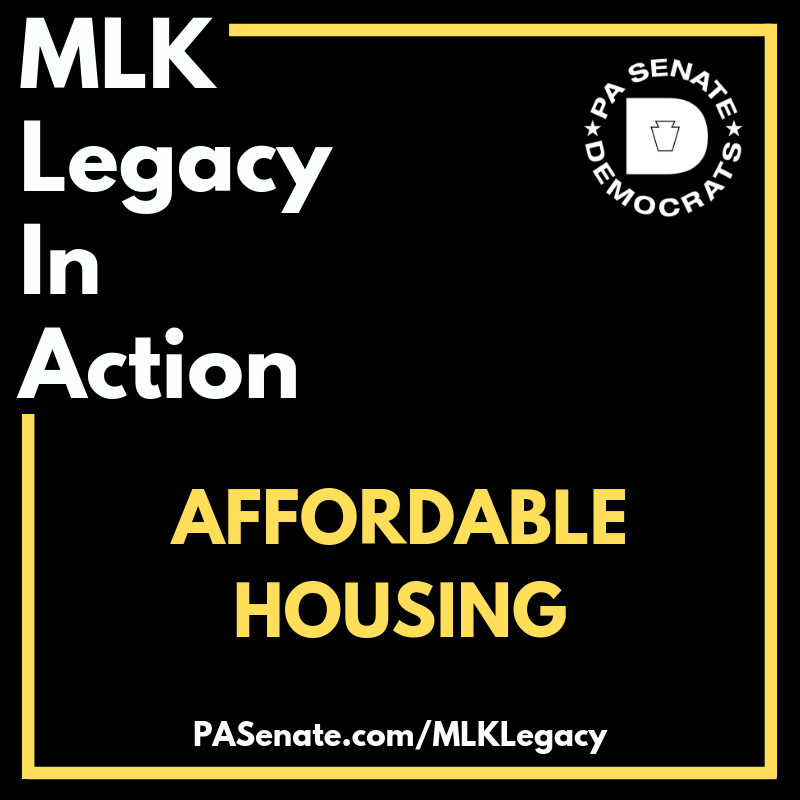 We will push for legislation that can improve the lives of those economically struggling, in hopes of moving them forward toward economic security. The fight against poverty is ambitious, a fact that Dr. King knew himself, but it is also a fight that is right and is just. 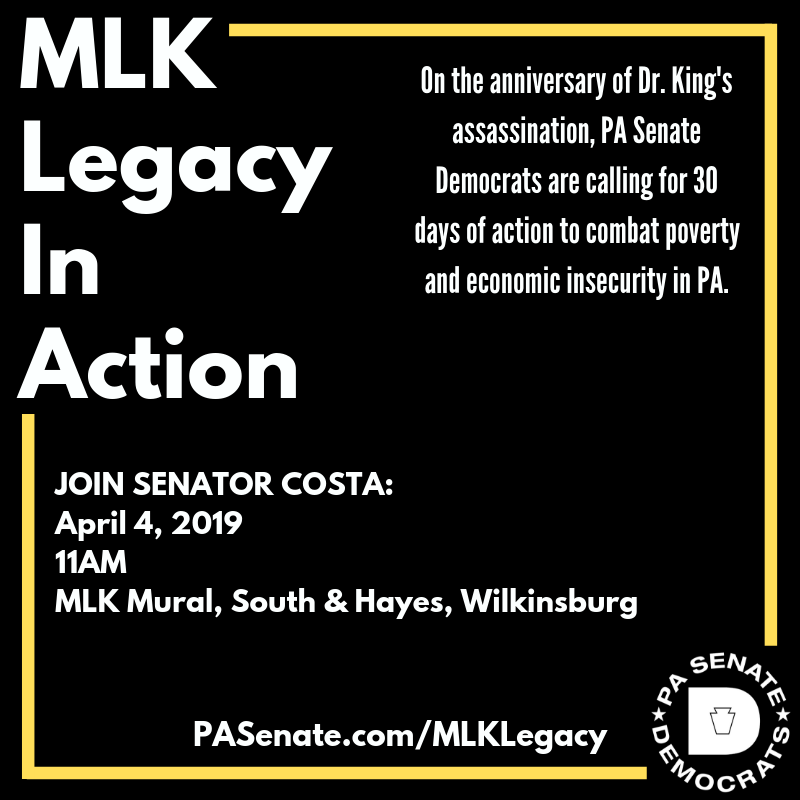 To live the legacy of Dr. King, we encourage you to join us. 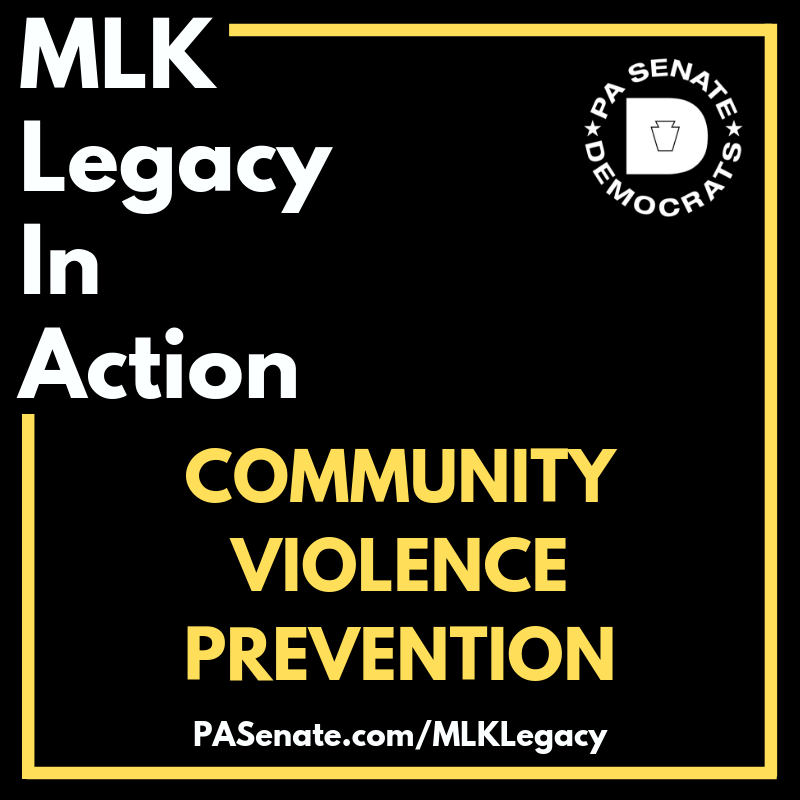 Click the heart to find volunteer opportunities in your community. For us to fully realize the legacy of Dr. King, we need to create and implement policy that can better provide access to economic security for all. We need to discuss the issues that plague communities that suffer from the weight of poverty and how we can lift that weight from their shoulders. We must come together to work on improvements to education access, community life, jobs and wages, and social justice initiatives as a step forward in the fight against poverty.